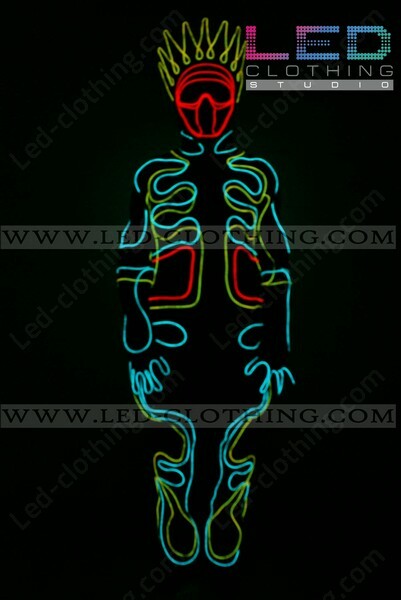 Tron King LED Costume - LED Costumes | LED Clothing Studio Inc.
Be the king of the dance floor with our exclusive Tron King fiber optic costume! 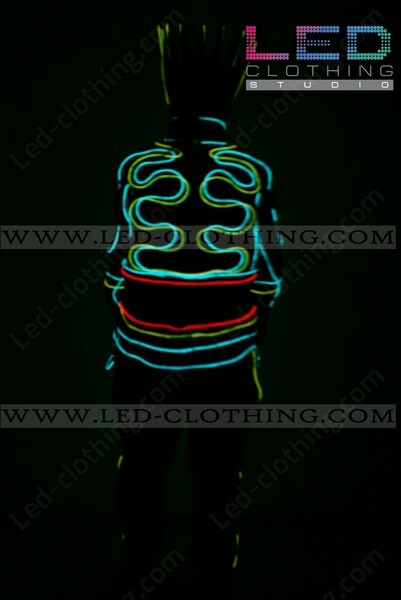 Pulsating in the dark, iridescent with all rainbow colors this garment will be an asset to any dancing club or performance. 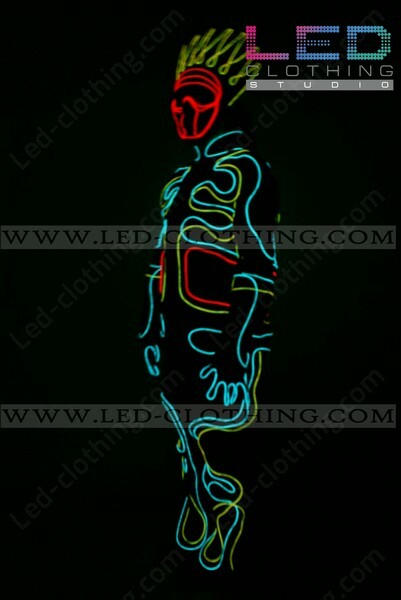 The TRON KING suit is equipped with a high-end quality fiber optic strip and shockproof LEDS and will not let you down no matter how vigorous your dance might be. 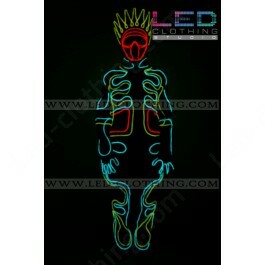 Quite a number of effects coming with our KING LED and fiber optic suit is controlled by an independent controller of two possible types, SD card controller and wi-fi controller. 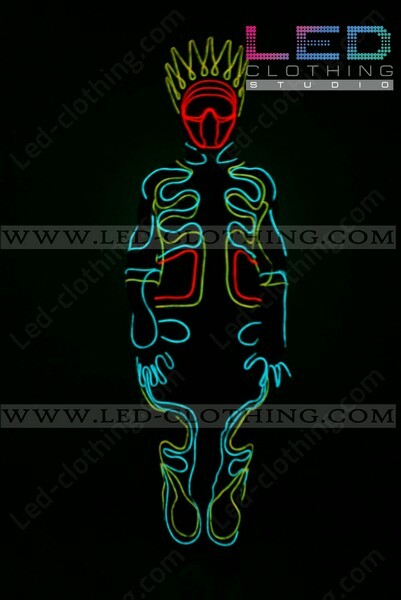 Any bright ideas about how you want your personal Tron King LED suit should be looking are welcomed, we in LED clothing Studio adopt all types of creativity! The costume is made in our LED Clothing Studio in Seoul, South Korea with premium quality SHOCKPROOF ultra bright EL fiber optic wires and elastic breathable fabric, and powered by 10000mAh rechargeable batterie that lasts approximately 3 hours of continuous usage. Really cool. 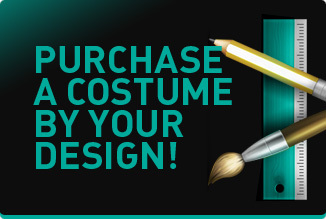 If you ware this led-costume at a nightclub, everyone will pay attention.